Meet Ruby, a young howler monkey - injured, lost and far from her family. 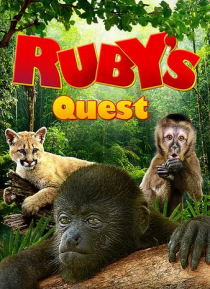 Her story takes you deep into Central and South America, where human and animal friends help Ruby begin her journey home. As you travel through dense and noisy forests, you'll hear the calls of howler monkeys sounding louder and carrying farther than the screeches, whistles and chirps of all the other animals and birds. Have… fun watching the antics of these gregarious primates, and discover their distinctive personalities.